A graph is a pictorial display of information. Graphs are a great way to represent data (a collection of information), interpret it, and draw conclusions. In other words, a graph is a picture of numbers that tells a story! A graph is made with a pair of perpendicular number lines, called axes that make a coordinate system. The two axes are the x-axis and the y-axis. Points on a graph are defined by an ordered pair of numbers, called coordinates. These coordinates tell us where to travel on the axes. The first number in the ordered pair, or x-coordinate tells us how far to travel left or right on the x-axis. The second number, or y-coordinate tells us how far up or down to travel on the y-axis. 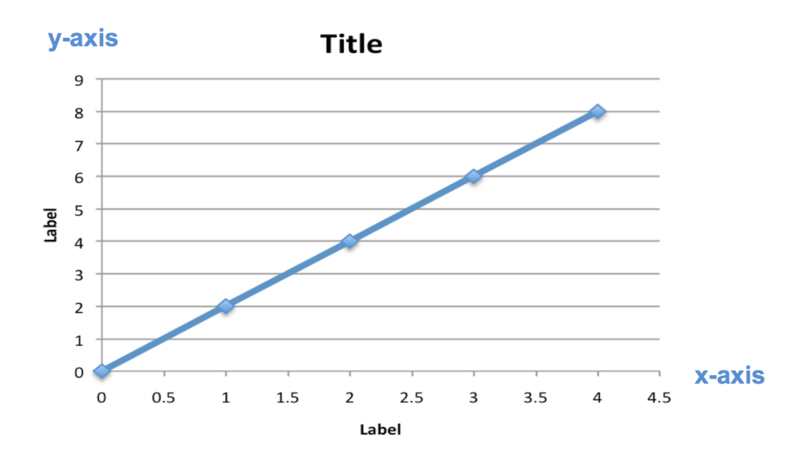 x-axis, and go up 4 units on the y-axis. Courtney Gerstenmaier, a marine biology graduate student from the College of Charleston has been doing research to see how Gracilaria, an invasive alga, acts as a habitat for local marsh life. Courtney has done several field experiments to make quantitative observations about the number of amphipods found living on Gracilaria in the marsh. Below you will find a graph of her data from the past year. 6. Write a statement describing what happens to the number of amphipods as seasons change. There are less amphipods in the marsh during the summer months. Why do you think there are less amphipods in the summer and more in the fall and winter? 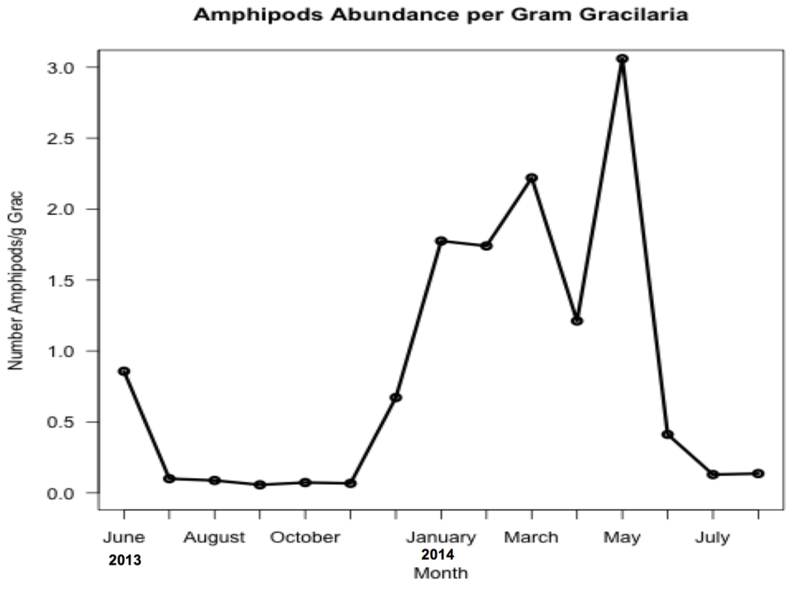 Why would there be more amphipods in some months than others? Discuss with your classmates. Courtney preformed another experiment looking at the predation rate of amphipods living on Gracilaria in the marsh. After offering dead amphipods at various locations on a mudflat, Courtney calculated the mean amount of individual amphipods consumed (predation rate) after left in the field for 24 hours. 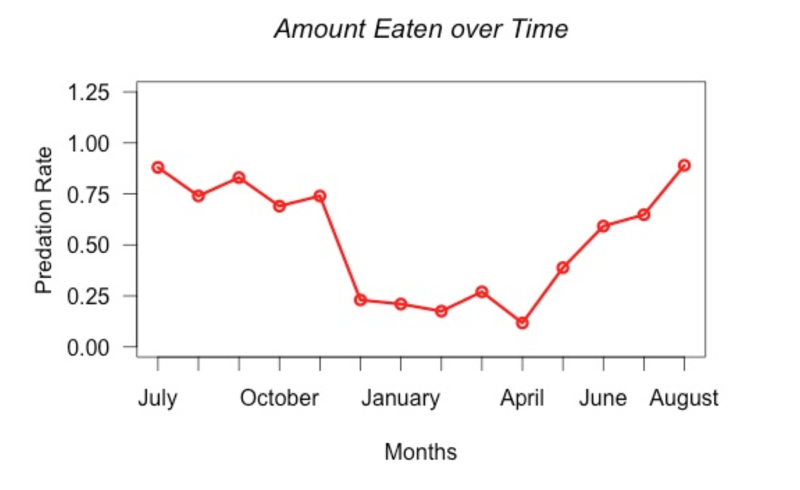 The graph below shows this predation rate over time. There are [more]/ [less] predators in the summer. We have now looked at two different graphs. Do you see a relationship between these two graphs? Amphipods are shrimp-like arthropods, invertebrates characterized by a jointed, segmented exoskeleton. Amphipods are marine animals that can be herbivores, omnivores, or carnivores. They are typically less than 10mm, but can be much larger in size. The largest recorded living amphipods are 280mm found in the deep sea. A predator is an animal that lives by hunting and eating other animals. Prey is an animal that is hunted or eaten by another animal for food. In the marsh, amphipods are prey to animals, such as pinfish and crabs. Can you think of any variables that would have influenced Courtney’s results?